Do you help conserve wildlands for future generations? Well, if you have ever purchased ammunition or a firearm, you do support conservation directly. This month marks the 75th anniversary of the Wildlife Restoration Act. On September 2, 1937, President Franklin D. Roosevelt signed the Federal Aid in Wildlife Restoration Act, now called the Pittman-Robertson Wildlife Restoration Act, which provides funding for wildlife conservation efforts. Since 1937, hunters and shooters have paid for conservation through Federal Excise taxes. Over $4.2 Billion Dollars have been raised for wildlife conservation and habitat restoration through the 10% excise on handgun purchases and 11% excise tax on Long-gun and Ammo purchases. Funds from excise taxes on arms and ammunition (plus bows and arrows) are apportioned to States by the Dept. of the Interior to pay up to 75% of the cost of approved projects. Project activities include acquisition and improvement of wildlife habitat, introduction of wildlife into suitable habitat, wildlife surveys, hunter education programs, and construction and operation of public target ranges. The Pittman-Robertson Wildlife Restoration Act has been the “single-most effective wildlife conservation funding mechanism in U.S. history”. Through their excise tax contributions, hunters and shooters have done more to protect wildlife, dollar for dollar, than have the members of private conservation groups. Nobody likes to pay taxes, but hunters and shooters can be rightfully proud of their role in preserving wildlife habitats and wildlife populations in the United States, over the past 75 years. 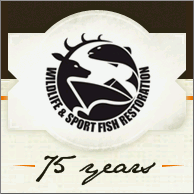 To learn more about the conservation programs supported by gun excise taxes, visit WSFR75.com. Share the post "Guns & Ammo Taxes Have Supported Conservation for 75 Years"
Wolf Match Target and Wolf Match Extra ammunition is justifiably popular with competitive 22 LR shooters. 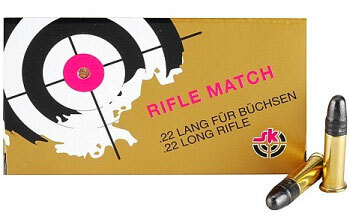 Wolf Match Target, at $4.90-$6.20 per box, shoots as well as many types of 22 LR ammo costing much more. (Price varies with quantity purchased.) 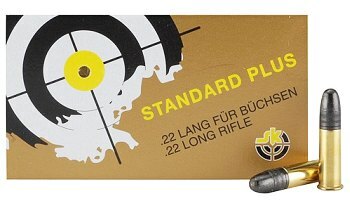 We recently chronographed Wolf Match Extra ammo (using multiple chronographs), and it showed lower ES and SD than some lots of much more expensive Eley ammo. But Wolf rimfire ammo is often in short supply. Share the post "SK Rimfire Ammo Rivals Popular Wolf Ammo"